We are amped up for summer in a big way. We have several mini vacays on the books and we couldn&apos;t be more excited to rest, relax and have fun as a family. 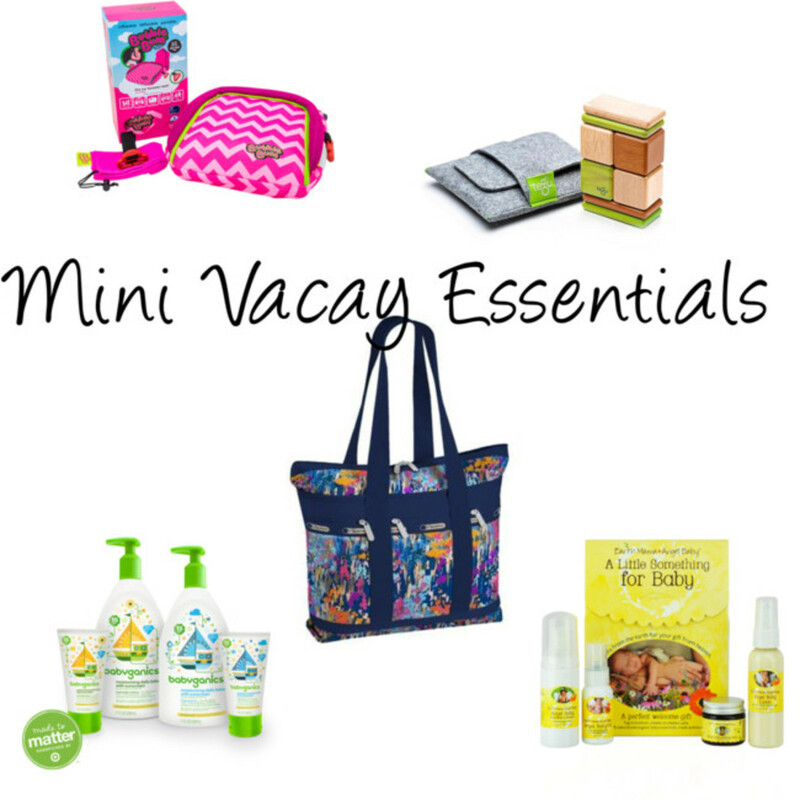 I have kept my eye out for the latest trends to prepare for our mini trips and here are my favs! Gearing up the car for travel can be a daunting task. and this year we will be meeting up with cousins and friends along the way. The BubbleBum inflatable booster is perfect for this because this booster seat, stores flat, is lightweight and easy to use. It&apos;s perfect for when kids are shifting around. Don&apos;t let the convenience fool you, it meets all safety regulations and provides the protection your child needs! Plus, it comes in a fun chevron pink, solid black or purple and includes its own carrying case! To make the car ride go smoothly, I always pack a new game or toy. The eco-friendly magnetic blocks by Tegu are safe, fun and will keep kids of all ages occupied. We love the Pocket Pouch which contains eight Tegu blocks in a handy felt pouch, perfect for car travel! Of course, tucked in our stylish, lightweight and fun printed bags from Le Sport Sac, (I am toting the bag HERE) is plenty of sunscreen. The Le Sport Sac bags offer plenty of stylish whimsical prints. My favorite is the Magnificent! (Aptly named, no?) We love and trust mineral -based Babyganics&apos; sunscreen to give us the ultimate protection without the harmful chemicals. Bonus...It is fragrance free, offers full coverage with a SPF of 50. Babyganics newest product, a moisturizing daily lotion with SPF is brought to you in partnership with Made to Matter by Target, and is sold there exclusively. For bath time, we only use chemical free body products like our favorites from Earth Mama Angel Baby. The "Little Something for Baby" kit comes with convenient travel size items and helps me to pack just what I need in one easy step. Not only are the EMAB products safe, they are effective and smell heavenly. 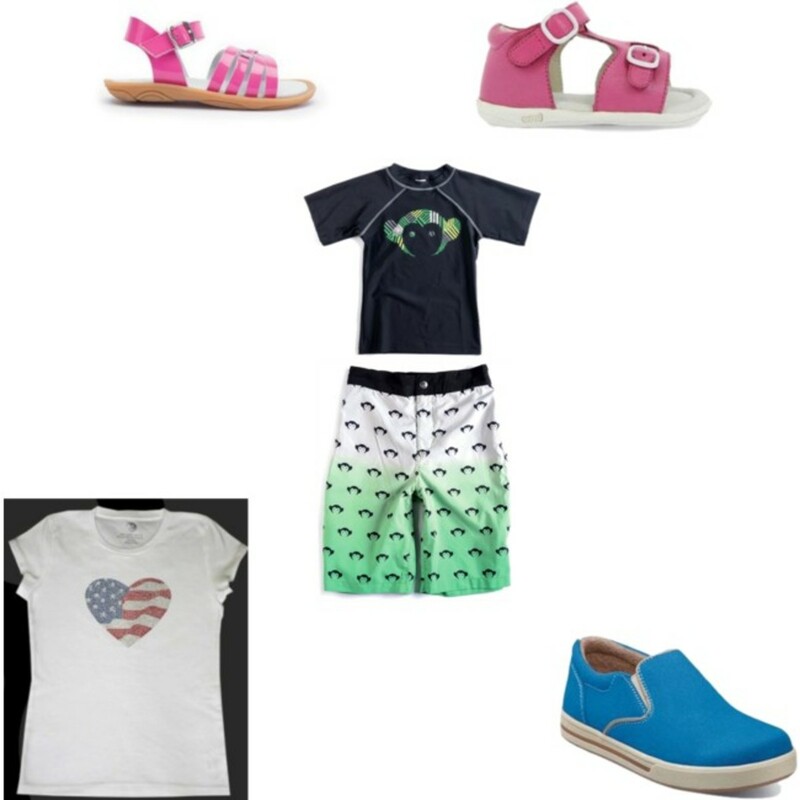 Of course, a fun printed rash guard and swim trunks are a necessary must, my son loves this set from Appaman. They provide the coverage I want with the style he likes. And he can stow his treasures in one of the 4 pockets. 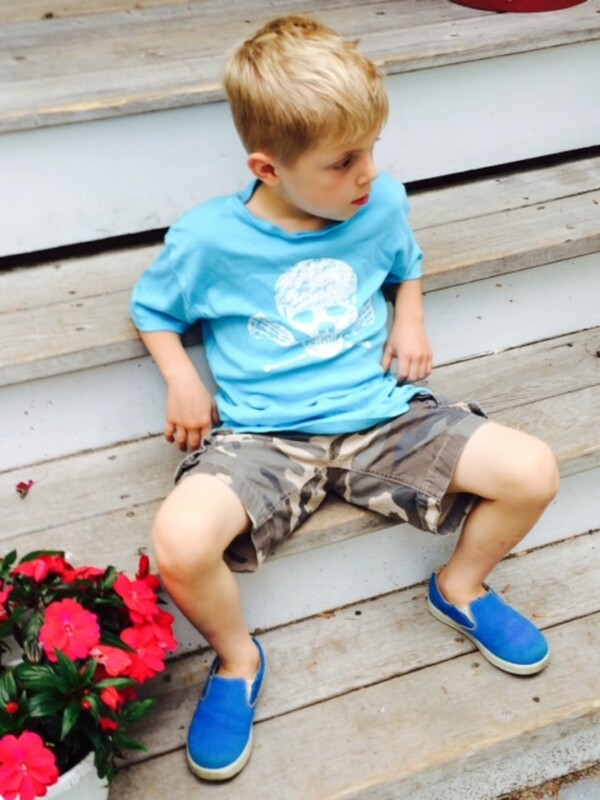 When they are not water bound, we are loving the sun protection from Sun, Love and Peace tees. Our favorites include THIS patriotic number and this skull one for my lacrosse obsessed son. 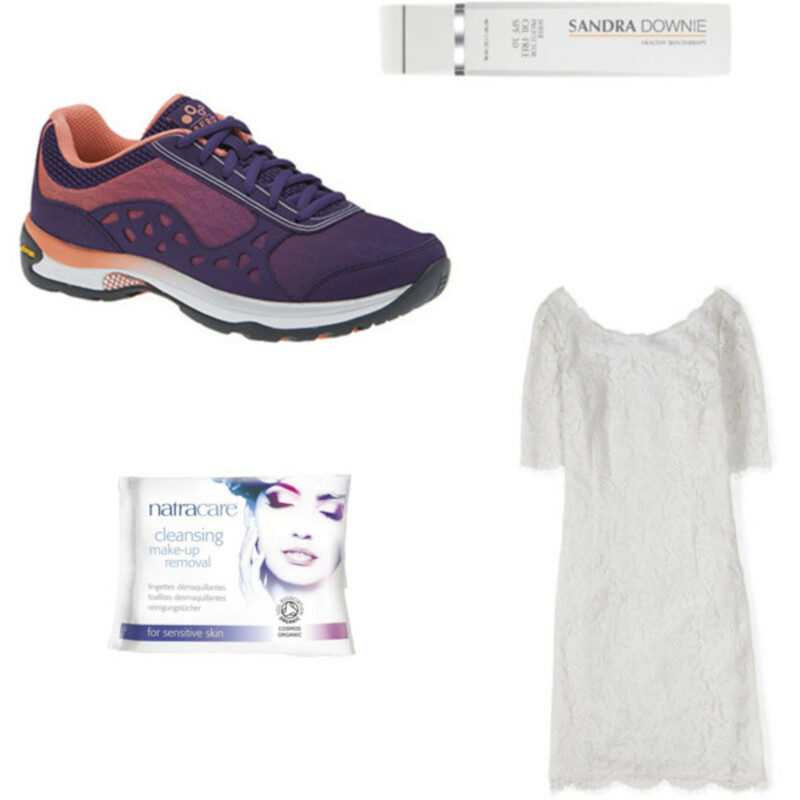 We love that we can get SPF 50+ sun -protective clothing with style. Of course, we can&apos;t forget the shoes! Florsheim has been a reliable source for shoes for years and we love these slip-ons. The bright pool color screams summer! while the fit is comfortable, supportive and the construction durable, perfect for all of our family adventures. For the girls, I love UMI shoes. There are so many styles, and colors to suit any taste. The shoes are well-made, comfortable and provide the support I demand for all day play. 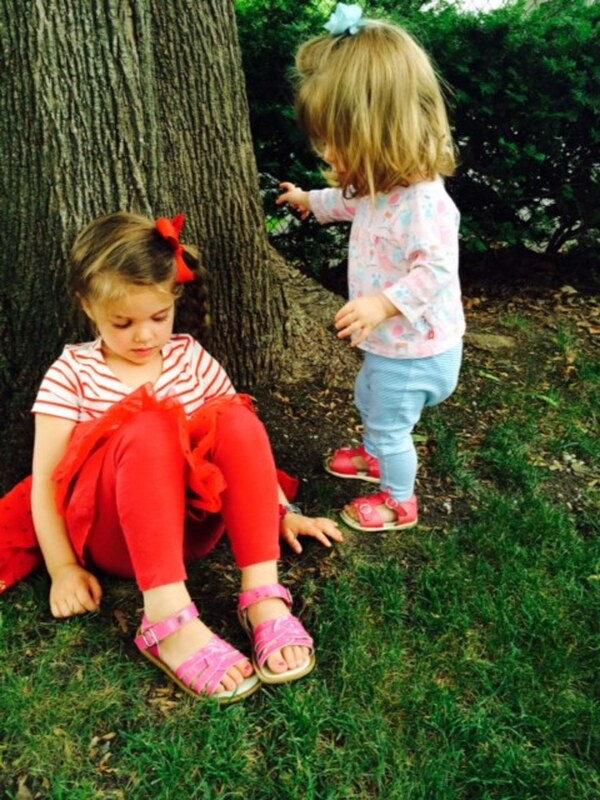 How sweet are they in their coordinating UMI sandals? 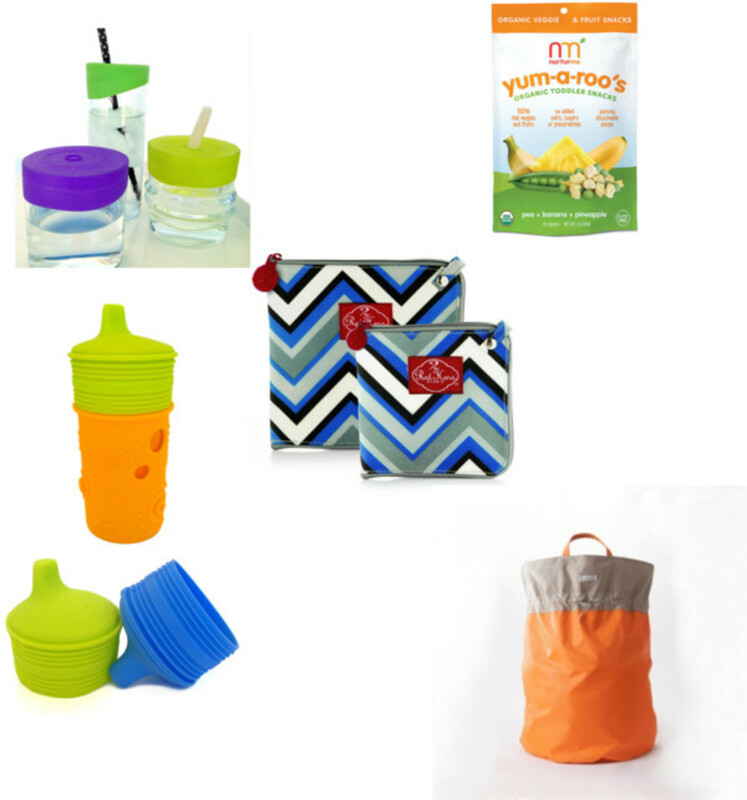 Let&apos;s talk snacks because every mama knows that traveling with the kiddos means lots of snacks! Nurtur Me makes packing organic, healthy snacks for my toddler super easy. She loves the crispy dried fruits and veggies mix. It not only nourishes her but gives her the independence she craves to feed herself. For the bigs, our go to reusable snack bags are from 2 Red Hens. You just can&apos;t beat how the bag unzips to form a clean eating surface. (Plus it makes cleaner the crevices super easy! Whew!) We are relying on sippy cups from Silikids. With their silicone covers I can turn any glass cup into a safe drinking cup for any of the kids. Plus the Silikds straw silicone sleeves am turn any glass cup into a fun, drinking experience. To keep all of our goodies stowed away, we love the packable and portable Hamper Bag from 7 A.M. Enfant voyage. It is perfect for both indoors and out, is spacious, water-resistant, and lightweight making it perfect for travel. Also, from 7 A.M Enfant is the triangle blanket. This versatile blanket is perfect for those ranges in the car temperature, a kiddie picnic or as a stroller blanket. For the mama, I was in search of comfortable shoes that still offered a lot in terms of style. When I want to do a lot of activities and really run around with the kids, I love the comfort, support and funky colors of my ABEO Aero sneakers from The Walking Company. They are like walking on a cloud and I can be in them all day. Plus, I can&apos;t beat the pop of color which my kids think is totally cool. For stylish, and easy to pack clothes, I am in love with the white collection from Boden. Boden has classic cuts in quality clothing that just feels good on. I can always rely on their array of dresses, classic and flattering silhouettes in fun and upbeat prints. 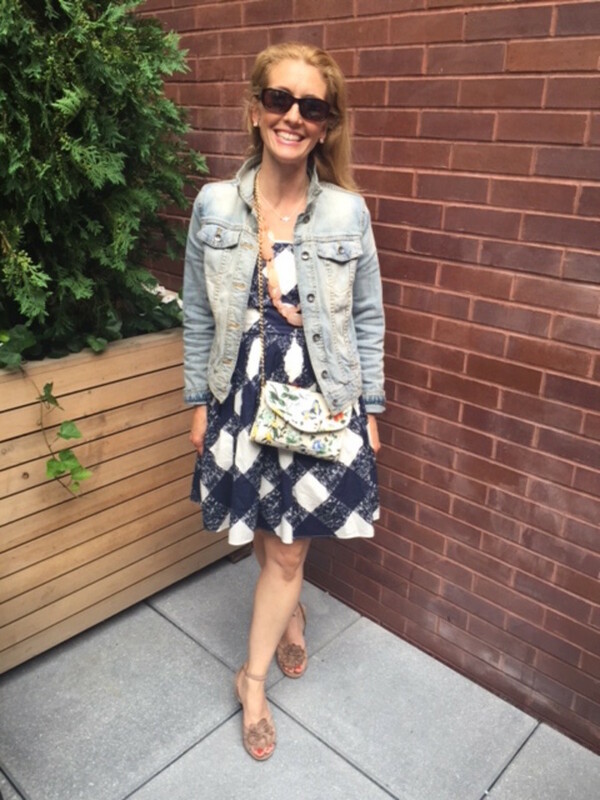 I am a sucker for a lady like dress in a modern print like the blue and white strapless I am wearing below. (Doesn&apos;t the floral & butterfly chain bag from Talbots complete the look?) From cool shorts to bohemian dresses, to flowy tunics with embroidered detail as well as perfect tees, Boden offers the latest styles and trends, a must for this traveling mama. And we can&apos;t forget about Mama&apos;s skin, can we? We are testing out the new goodies from Sandra Downie. The sunscreen is a sheer, daily sunscreen and moisturizer in one. This broad spectrum SPF 30 is lightweight, oil-free, non-comedogenic, fragrance-free, PABA-free, water-resistant and hypoallergenic. Enriched with Vitamins A, D, E and Aloe, this cream provides light daily moisture, while helping to prevent premature aging caused by sun exposure. Perfect for this mama. To remove my makeup at the end of a day, I trust convenient Natracare Cleansing makeup removal wipes. Not only are they made with organic cotton, they do not contain any parabens, or harmful chemicals~perfect for my sensitive skin. Infused with the organic essential oils of almond, apricot and chamomile, Natracare Cleansing Make-Up Removal Wipes leave your skin moisturized, cleansed and refreshed naturally.